Thirteen days remain before the election and the two leading candidates for governor are embarking on statewide tours with remarkably similar branding. 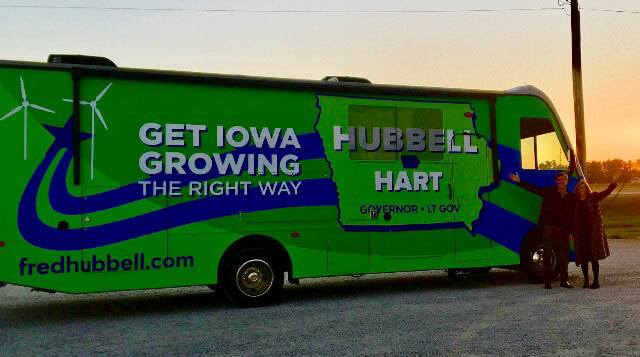 It’s the “Get Iowa Growing” bus tour for Democrat Fred Hubbell, which started yesterday, versus the “Keep Iowa Moving” or “KIM” tour for Republican Kim Reynolds that starts today. Governor Kim Reynolds’ campaign vehicle. On Tuesday afternoon, Hubbell and his running mate Rita Hart stopped at the “free speech zone” on the Iowa State University campus. It’s the sidewalk where College Democrat volunteers are asking every student who walks into or out of the library if they need information about voting. Fred Hubbell talks with students at Iowa State. Iowa State University students are able to cast ballots at a satellite voting spot on campus this week. ISU junior Taylor Blair, the leader of College Democrats on the Ames campus, said Monday’s stats were encouraging. 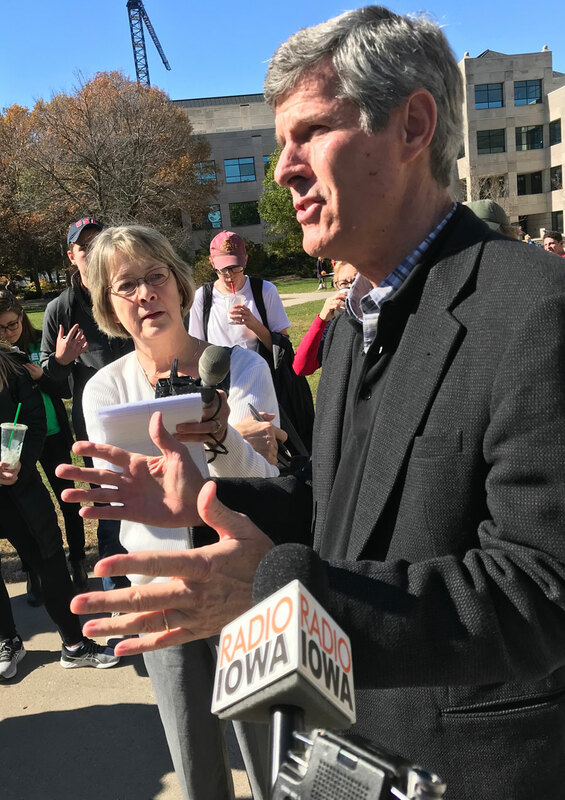 Hubbell told the students he’d address the financial squeeze on K-12 public schools and the rising cost of college tuition. 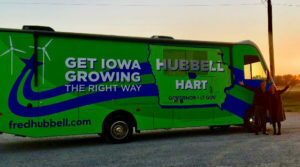 Hubbell’s bus tour also made stops in Des Moines, Nevada, Cedar Rapids and DeWitt yesterday. 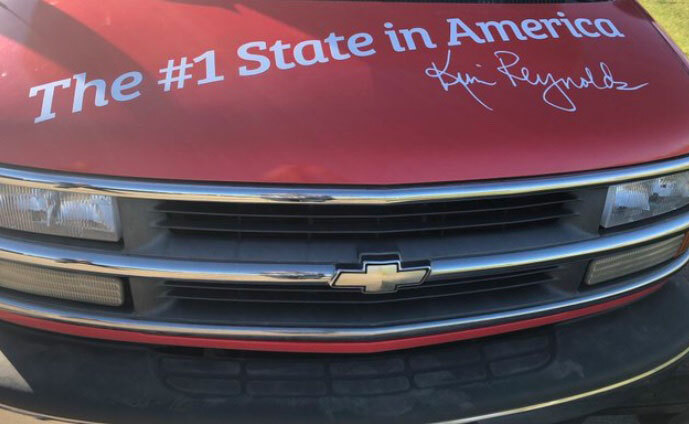 The Reynolds bus tour starts in a West Des Moines restaurant today with additional stops in Boone, Ames, Marshalltown and Iowa Falls.